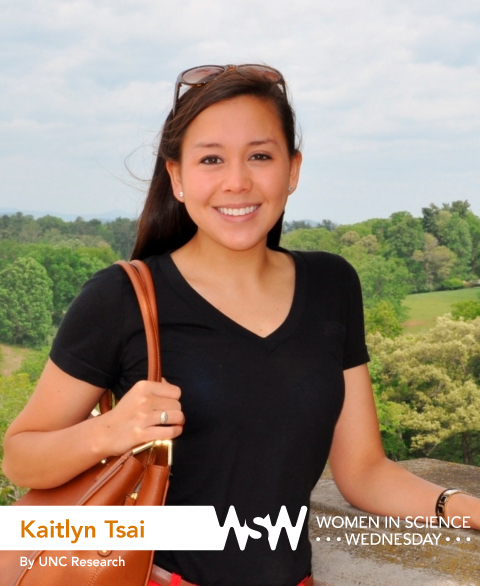 Senior Kaitlyn Tsai is an undergraduate researcher in the College of Arts & Sciences majoring in chemistry with a biochemistry focus and minoring in medical anthropology and biology. Her research involves conducting complex chemical reactions to better understand the chemistry behind biological processes such as cancer. After graduation this May, she will pursue a PhD at the University of California, San Francisco. Growing up during the summers, my sister and I would often take week-long visits to my grandparents’ house in Mount Airy, picking fresh vegetables from their garden and making delicious Southern dishes. My granny is an all-star cook — fried chicken, cream corn, and pot roast. But her biscuits are the most amazing thing she makes. I wanted to be just like Granny. I wanted to be a chef. 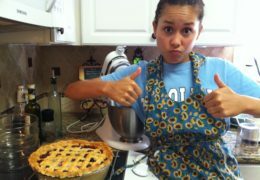 Obviously, my career plans have changed, but I still enjoy cooking and trying to master Granny’s biscuits. Nature is incredible. Every time we believe that we have figured it out, we realize that nature is more complex than we could have possibly imagined. For instance, scientists once thought that “breaking” the genetic code would solve all of life’s mysteries. We are only now beginning to understand the dependence of gene expression on other factors like the environment. We will never be able to fully understand every detail. As daunting as this fact may be, scientists have the unique opportunity to uncover small discoveries that can potentially, in collaboration with other scientists, have large impacts on environment preservation, human health, and so much more. Tsai’s grandmother is an ace in the kitchen and the reason she loves to cook. 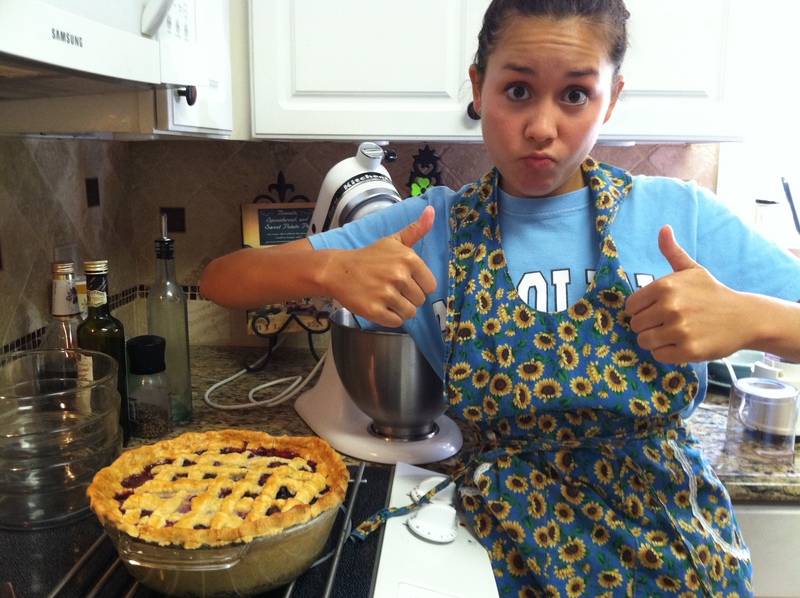 Here, she proudly displays a blueberry pie. Tell us a short story about a funny thing that happened while you were doing research. This past semester, the fire alarm went off in Caudill labs around 4:30 p.m. Thinking it a drill, I, along with several of my lab-mates, left all of our belongings in lab including jackets, keys, and cell phones. Three hours later with the temperatures dropping below 40oF and not having a jacket, we were still not cleared to reenter the building. Giving up hope that we would be able to retrieve our personal belongings, we had to find creative ways of getting home. Since my cell phone and house keys were still in the building, I ended up walking two miles to get home and had to hope my roommates were there to let me into the house (they were). Needless to say, I learned my lesson: Always grab at least your cell phone when the fire alarm goes off! I was lucky during my time as an undergraduate researcher in that I had many female role models to look up to including my advisor and other graduate students. Not every female involved in research has access to these types of mentors, and it may be difficult to see yourself achieving success in a male-dominated research field. You may not know everything now, but be confident that you will have the discipline and desire to learn what you need to know to succeed in your field.